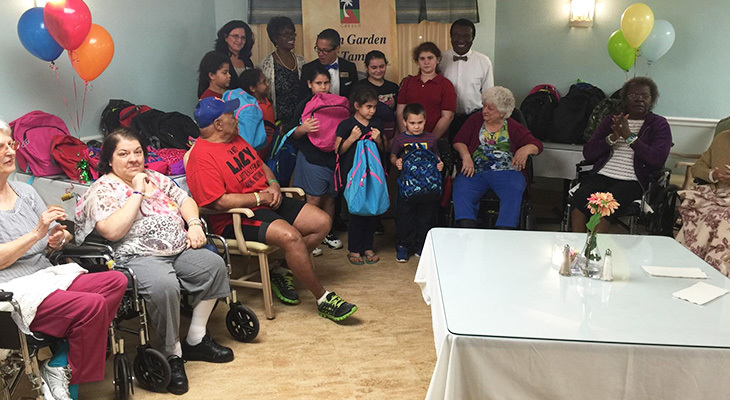 Palm Garden of Tampa donated backpacks and Hillsborough County required school supplies to Feed our Children in support of the fine work of Chaplain Moses Brown. Palm Garden’s mission is to create a compassionate environment for each person entrusted to its care and to inspire hope and healing by helping those individuals achieve their highest level of physical, emotional, and spiritual well-being. Luke Neumann, Senior Director of Service and Relationship Development for Palm Garden’s 15 Rehabilitation and Healthcare Centers, states “service to others is a pillar that supports our mission as a member of each and every community we serve. Inspiring hope and helping people achieve their highest level of physical, emotional and spiritual well-being extends beyond the walls of our centers and into every community we serve. It is our pleasure. 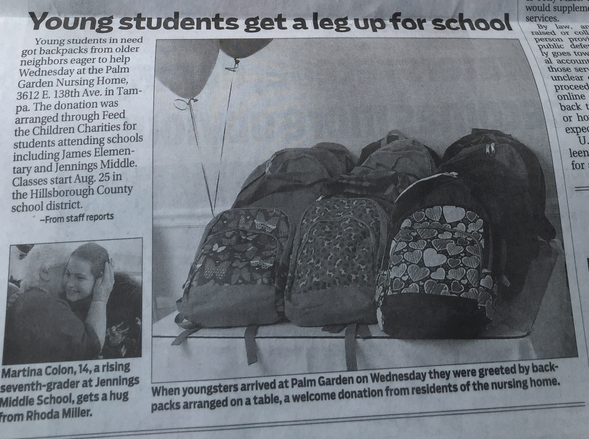 and who knows, maybe we met some future doctors, nurses, and medical professionals today!”Click here to view the Tampa Tribune article on this event.